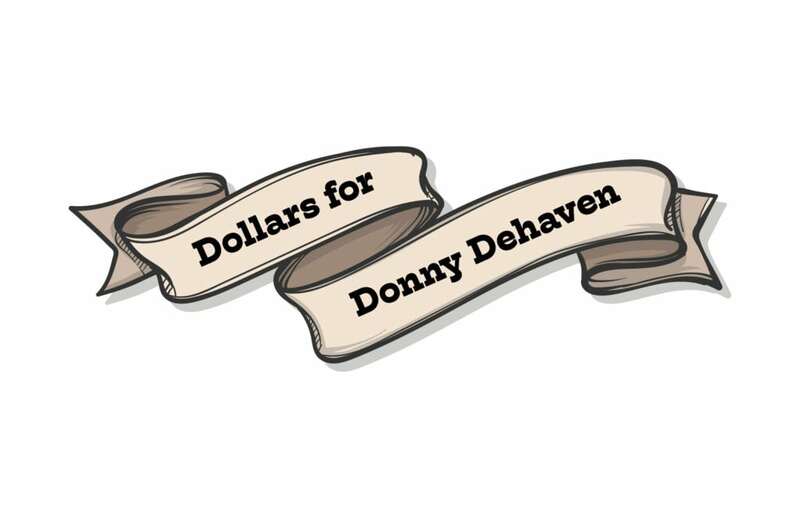 The “Dollars for Donny Dehaven” raffle raised $7,500. All proceeds will go to Dehaven to assist with his medical expenses. Congratulations to Machelle Aultman, winner of the Henry rifle, and Jared Miller, winner of the Yeti cooler. We are so grateful for all of the support! Watch the raffle drawing, originally broadcast on Facebook live, here. Munn Enterprises in Hattiesburg is hosting Dollars for Donny Dehaven, a raffle to benefit a longtime employee with Stage IV cancer, through Tuesday, July 31. Dehaven, a resident of Sumrall, was diagnosed in May with colon cancer. Additional cancerous areas were detected in his stomach, lungs and liver. Dehaven has worked for Munn as a service technician for 16 years. He has two sons, Trevor and Dylan. Tickets for the raffle are $5 each or $20 for five tickets. There will be two drawings. The ticket holder pulled on the first drawing will win a Henry Lever Action .22 Magnum Octagon Barrel rifle; the ticket holder pulled on the second drawing will win a YETI Tundra 65 cooler. The drawings will be broadcast on Facebook Live beginning at 9:30 a.m. on Wednesday, Aug. 1. Tickets may be purchased at the Munn office at 7712 U.S. 49 in Hattiesburg. For more information, contact Joshua Wilson at (601) 264-7446 ext. 1008 or by email at jwilson@munnenterprises.com.